Our Chicago Slices Teacher Cohort met us at the National Museum of Mexican Art in November and received professional development from our partners at The LAMP. Teachers explored the MediaBreaker/Studios as a learning tool for the development of critical thinking and media literacy skills. 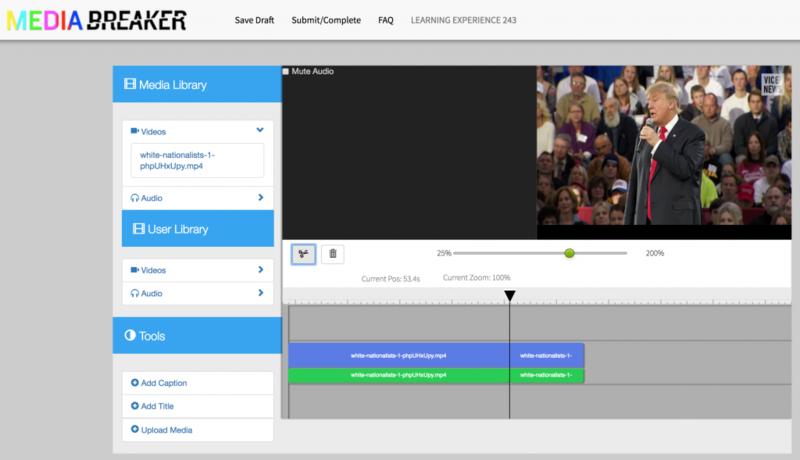 MediaBreaker/Studios (mbstudios.thelamp.org) is an online platform designed to create learning experiences around the MediaBreaker video editing tool. This tool allows users to upload and edit any video they choose (archival footage, commercials, news clips, music videos). By adding text, editing and remixing video and audio, users can insert their ideas and perspectives to challenge media messages or make a critical argument. MediaBreaker/Studios is designed to use copyrighted media and to explore Fair Use. 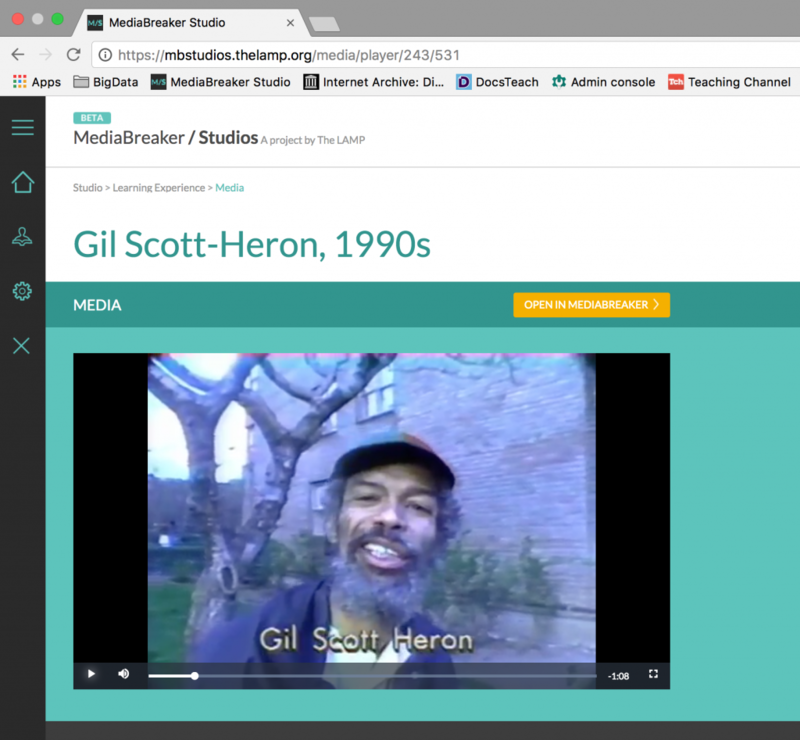 MediaBreaker/Studios allows educators to craft unique, interactive learning experiences while also creating a safe space for students to engage with and respond to media. prepare their students for future lessons. We are grateful for The LAMP flying out to Chicago to share this great resource to our teachers. Chicago Slices is funded byThe Hive Chicago Fund for Connected Learning (Fund) at The Chicago Community Trust.